Here at NordicTrans, we offer and render translation services for almost any language in the world. While we specialize in translations of the Nordic languages, we can also do accurate, high quality, and affordable translations from and into any other language worldwide. Among the translation services that we provide, English to Danish translation services play an important role as more and more people and companies need translations perfectly adapted to the Danish market. You can always trust us to provide you with the best English to Danish translations with quick turnaround times and affordable prices. English is generally considered as a universal language. It is widely used and understood in various fields or industries all around the world. In fact, all documents originally in any language other than English and submitted to the US Immigration Bureau as part of any immigration processes, are generally required to be accompanied with a certified English translation. On the other hand, when you’re in Denmark, English translation to Danish is equally necessary. That’s why NordicTrans is here. English to Danish is one of the most common language duos in the world, and that means volume. NordicTrans makes large volumes of text in need of translation easy to deal with. We offer you the best professional English to Danish translation service possible in terms of security and efficiency and that fits your pocket well. NordicTrans is now the number one Nordic translation services provider in the global market. We have in-house teams of professional native translators and proofreaders led by our project managers. Specialising in the Nordic languages, NordicTrans is now the largest operating Nordic translation services company in Northern Europe. We translate any kind or type of translatable projects, with any size and language specification, all at the best price rates there are in the world market today. Since we started doing translation business in 1999, NordicTrans always partners with only the best native speakers to be our translators and proofreaders. This way, we are able to provide our customers with the highest quality and most accurate English to Danish translations. Our in-house teams of native English and Danish translators and proofreaders are recognised, updated, and monitored by the International Standard Organisation (ISO); thereby following the standards imposed by the organisation which ensure the quality assurance for all translation services rendered. With over 16 years of experience in the industry, our professional native translators are now expertly serving English to Danish translation services for any project anytime, anywhere. We are proud to become one of the leading translation services providers in the global arena of the translation industry. We render our services at affordable rates without any hidden charges and additional fees for rushed translations and projects done on weekends. No matter how huge or little is your translation project we can work on it out to your advantage. We have designed and created our own web based project system management for all our customers’ needs. We offer free live quoting and invoicing online for all our English to Danish translation services. You may get your quotes and invoices in just a few clicks. You can even monitor the status and progress of your ongoing and previous translation projects. We also have live chat support on our website, which is available at any time. It’s manned by project managers and/or customer service representatives who directly work with our in-house translators and proofreaders. Whether you’re in need of English to Danish translation services for personal, legal, business, and/or professional purposes, trust our in-house teams of native translators and proofreaders to see the difference. Long gone are the days when you had to visit a translation office in order to have something translated, and even though you are always welcome to visit our offices, you can always order online. With NordicTrans, you can rest assured that we will provide you with the highest standards in accuracy and quality for any of your Danish translations. Get your free quote and give us a try now. In you’re in or around Miami and need translation for any reason, including certified translation for immigration, visit our translation office in Coral Gables. You can find us there during business hours and we’ll answer all your questions in regards to your translation and give you a free quote. If you accept our offer you can drop by the office at a later time to pick up your translation, or you can have us send it to you by email. Our office in Birmingham allows us to provide translation for immigration in United Kingdom as well. With us you can rest assured that your documents will be properly handled and translated in just a couple hours. We never settle for less than premium quality while we charge the lowest rates in UK for translation services. Visit our office and convince yourself at anytime! We know people are busy and don’t have the time to visit our office. That;s not a problem. With us, you can order your translation online, on our website. The best thing about it is that we are available 24/7 to suit any need. So if you’re too far away from our offices, get in touch with our project managers by email or live-chat, they are available around the clock to answer any of your questions and give you a free quote! Our Danish translators are native speakers with expertise in the specific areas and dialects, which is important if you want to clearly communicate to a local level. Of course, they also clearly translate into standard Danish if a broader or more international approach is required. With decades of experience between them, our professional translators can perform any sort of translation to the highest professional levels. Our experts have knowledge working with all types of academic, marriage, divorce, medical, business, legal documents, including patent applications, merger and acquisition agreements, trademarks, copyrights contracts, wills and trusts, employment and other business documents, such as leases, and much more. 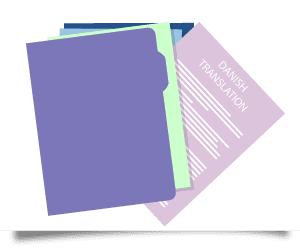 Our English to Danish legal documents translation service is far more than just offering you the content written on a document and translating it word-for-word. 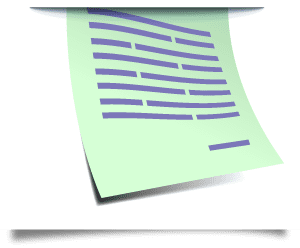 As they engage legally binding contracts and valuable pieces of information, it is important that those carrying out legal document translations on your behalf know precisely what is required of them. Once you know what goes into a successful English to Danish translation, request for a free quote and find out how NordicTrans can help you meet your translation requirements. 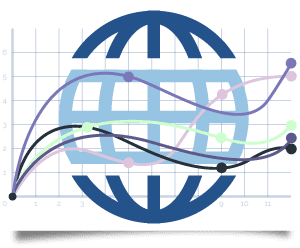 Who would have thought translation services would become such a huge necessity in the modern world particularly for business expansion and localization? Denmark is a world-renowned country for so many reasons, among them; the most popular these days are business opportunities, employment, and trading possibilities. But to reach the Danish audience isn’t just limited to displaying your products or services in English. Each client on this market needs a proper understanding of what you are offering so they could consider buying your products and this can be done only in the language they grew up with. The need for English translation to Danish is evident in this scenario. Looking for the best ways to expand your business into Denmark? Well, the most important aspect is to address to the audience in a way they can relate to and what other way is better than talking in their own language. While in today’s real world you may think that having a website, app or social media channels in an international language is enough, it actually isn’t. 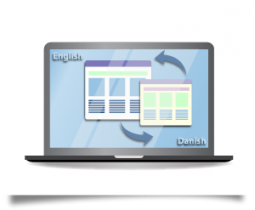 This is why you need to translate your English website into Danish and adapt it to the market for a better impact on your business and marketing. Lucky for you, we have the best people to carry out the job. Try NordicTrans for all your business translation and localization needs and we assure you that you will never be disappointed.